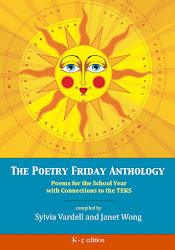 Welcome to Poetry Friday and my poetry-only blog, PoetryforChildren. 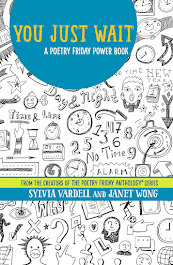 I’m honored to host this week’s Poetry Friday Round Up. Please leave a link in the comments area. I'll be rounding up throughout the day. Meanwhile, enjoy this poem for the day by Jane Yolen—I shared this one many year’s ago with my son’s fourth grade class and it was their absolute favorite! And cramming them into our mouths. And windowpanes striped with mint. And the fenceposts made of bone rubble. That we knew we were in deep, deep trouble. From: Livingston, Myra Cohn, comp. 1989. Halloween Poems. New York: Holiday House. This poem can also be found in Ms. Yolen’s own collection, Best Witches (Putnam, 1989). This poem appears here with the permission of the author. It is not to be published elsewhere without her express permission. Julie Larios: An ode to "Pencil Box"
Nadine C. Warner at KiddosandBooks: W.S. 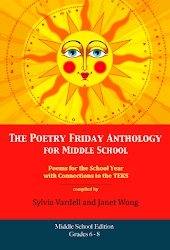 Gilbert's "The Yarn of the Nancy Bell"
Becky at Farm School: Valerie Worth's "Pumpkin"
Next week’s Poetry Friday round up will be at Check it Out. In between, don’t forget to vote next Tuesday, Nov. 4. If you’re looking for a novel-in-verse spin on the “Juno” story, you might try Planet Pregnancy by Linda Oatman High, the story of an unexpected teen pregnancy from the point of view of the “unwed mother” in a voice and language that reflect teenspeak and adolescent angst. High, Linda Oatman. 2008. Planet Pregnancy. Asheville, NC: Front Street, pp. 114-124. For teen readers, this is a very accessible, fast-moving story that could lead to an interesting discussion comparing the book with the movie, Juno [teen pregnancy, body image, boyfriends, babies, expectations]. And dig that crazy cover which is so subtle I didn’t even get the pregnant silhouette at first. Follow up with Virginia Euwer Wolff’s Make Lemonade, Story of a Girl by Sara Zarr, or even Laurie Halse Anderson’s Speak, for parallel stories, characters, and conflicts. 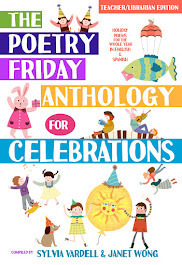 For more Poetry Friday nuggets, go to Big A little a.
I’m pleased to announce that the Poetry Foundation has selected the second Children’s Poet Laureate: Mary Ann Hoberman. At a lovely dinner last night at the Pritzker Pavilion in Millennium Park in Chicago, I was honored to be in attendance when she was presented with her medal and made a beautiful acceptance speech. Her husband and four grown children (from Paris, New York, and LA) were there to support her, even joining in on reading a poem at the end of her talk, “The Witch and the Broomstick” from one of her You Read to Me, I’ll Read to You collections. With a nod to other smart, humorous poets that she believes have led us “from didacticism into sunlight” in children’s poetry (Edward Lear, Lewis Carroll, Robert Louis Stevenson, and A. A. Milne, “bookended by Mother Goose and Dr. Seuss”), she proceeded to delight us all with readings of several of her poems, including her “absolute favorite,” “Brother,” which she read a second time so fast it became a tongue twister, a favorite approach among child audiences, she grinned. We joined in on “Snow,” and she observed that many of her poems are chant or song-like. She followed with “Yellow Butter,” hamming it up with a mouth-full-of-peanut-butter-style reading of the finale. On a somewhat more serious note, she acknowledged that some of her poems are inspired by the work of others, particularly by their rhythms. She cited Rudyard Kipling’s poems that accompany his Just-So Stories as one example and read “Anthropoids,” her tribute to Darwin. I was blown away when she read a poem in my honor that I had mentioned was one of my all-time favorites by ANY poet, “Mayfly,” which she felt was also one of her personal best. 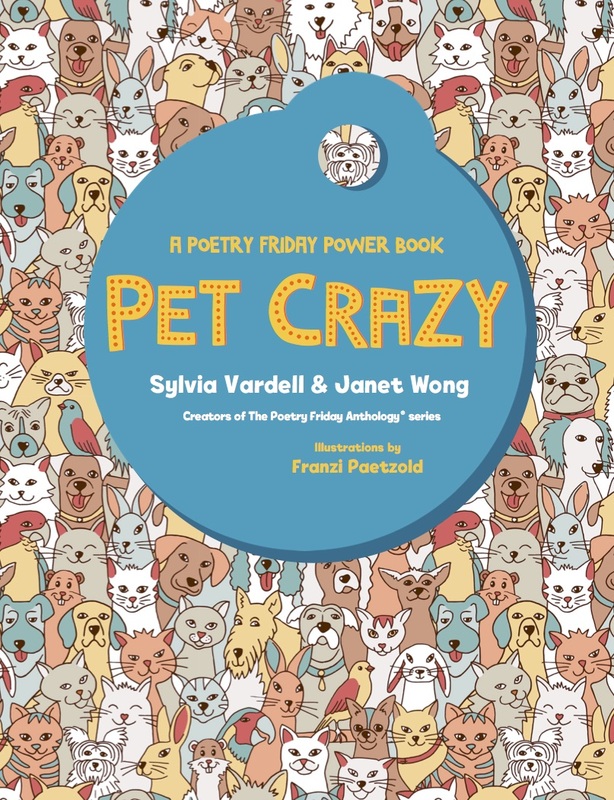 Most of these poems came from The Llama Who Had No Pajama: 100 Favorite Poems (which was generously provided for each guest), but her final poem was an original composition for the occasion—a “Villanelle for Children’s Poets” with the repeated lines, “the craft of children’s poetry is its art” and “nonsense at its heart,” among other gems. It was perfect and moved us all. 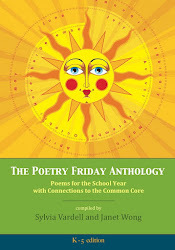 Once again, thank you to the Poetry Foundation, and particularly Penny Barr, for making children's poetry such a priority. The Children's Poet Laureate receives a check for $25,000 and a lovely medallion featuring the cartoon Pegasus characterized by James Thurber encircled with the words "Children's Poet Laureate" on one side and a line of an Emily Dickinson poem on the other side, "Permit a child to join." The Children's Poet Laureate will serve as a consultant to the Foundation for a two-year period and will give at least two public readings during his/her tenure. Mary Ann says she has “about 50 ideas” of possible poetry projects, so stay tuned for more updates. Poetry Foundation head John Barr called poetry the “last source of magic” in our world today and we definitely felt the magic of poetry this evening! 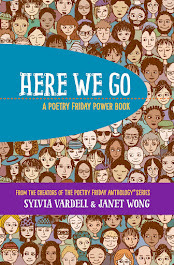 For more poetry in general, join Poetry Friday, in progress, at Anastasia Suen's Picture Book of the Day. It’s time again to nominate your favorite books for the Cybils Award, the Children’s and Young Adult Bloggers Literary Awards. This year, awards will be given in nine categories including poetry, of course. Anyone can nominate books in these categories (one nomination per person per category). Nominated titles must be published between January 1st and October 15th of this year, and the books must be in English (or bilingual, where one of the languages is English). To nominate titles, visit the Cybils blog between October 1st and 15th. A separate post is available for each category - simply nominate by commenting on those individual posts. If you are not sure which category to choose for a particular book, a questions thread is also be available. The Cybils were founded by Anne Boles Levy and Kelly Herold in 2006. This year's winners will be announced on February 14th, 2009. Kelly Fineman reminds us: When deciding if something belongs in the poetry category, ask yourself "Is this a collection of poems?" * A picture book that is written in rhyme belongs over in the picture book section, not here. * Poetry collections for older kids and teens belong here as well. * A novel written in free verse belongs with all the other novels for the appropriate age range. 1. Adoff, Jaime. 2008. The Death of Jayson Porter. New York: Jump at the Sun/Hyperion. 2. Alarcón, Francisco X. 2008. Animals Poems of the Iguazú / Animalario del Iguazú. San Francisco, CA: Children’s Book Press. 3. Ardelius, Gunnar. 2008. I Need You More Than I Love You and I Love You to Bits. Asheville, NC: Front Street. 4. Ashman, Linda. 2008. M is for Mischief. New York: Dutton. 5. Ashman, Linda. 2008. Stella, Unleashed. New York: Sterling. 6. Beck, Carolyn. Buttercup’s Lovely Day. Custer, WA: Orca Books. 7. Bryant, Jen. 2008. A River of Words: The Story of William Carlos Williams. 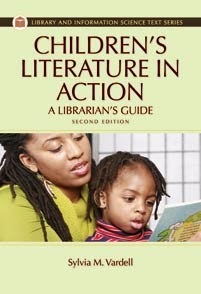 New York: Eerdmans Books for Young Readers. 8. Bryant, Jen. 2008. Ringside 1925; Views From the Scopes Trial. New York: Knopf. 9. Cheng, Andrea. 2008. Where the Steps Were. Honesdale, PA: Boyds Mills/Wordsong. 10. Dickinson, Emily. 2008. My Letter to the World. Illustrated by Isabelle Arsenault. New York: Kids Can Press. 11. Elliott, David. 2008. On the Farm. Cambridge, MA: Candlewick. 12. Engle, Margarita. 2008. The Surrender Tree. New York: Holt. 13. Fehler, Gene. 2008. Beanball. New York: Clarion. 14. Field, Eugene. 2008. Wynken, Blynken, and Nod. Illustrated by Giselle Potter. New York: Schwartz and Wade Books. 15. Frank, John. 2008. 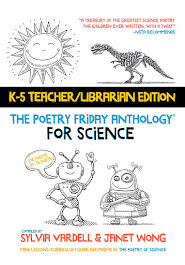 Keepers: Treasure-Hunt Poems. New York: Roaring Brook. 16. Frost, Helen. 2008. Diamond Willow. New York: Farrar, Straus & Giroux. 17. Gerber, Carole. 2008. Winter Trees. Ill. by Leslie Evans. Watertown, MA: Charlesbridge. 18. Ghigna, Charles. 2008. Score! 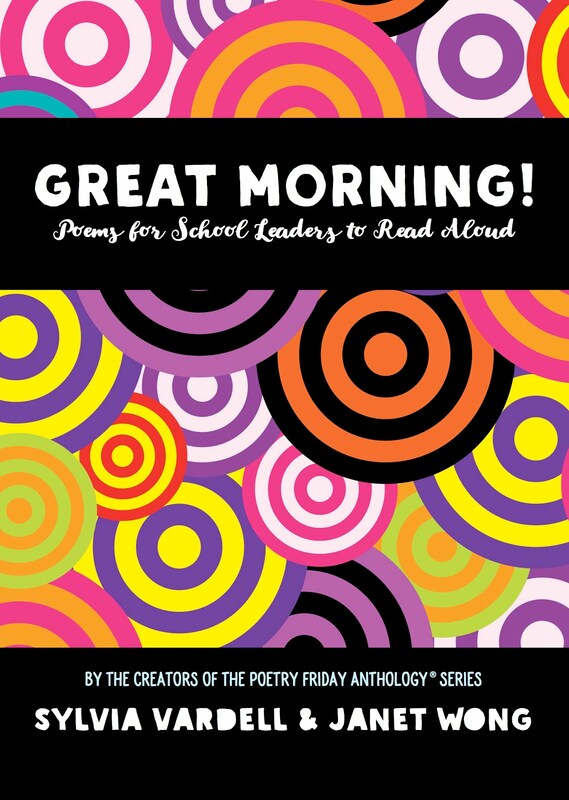 50 Poems to Motivate and Inspire. New York: Abrams. 19. Giovanni, Nikki. Coll. 2008. Hip Hop Speaks to Children. Naperville, IL: Sourcebooks. 20. Greenberg, Jan. 2008. Side by Side: New Poems Inspired by Art from Around the World. New York: Abrams. 21. Greenfield, Eloise. 2008. Brothers and Sisters: Family Poems. New York: Amistad/HarperCollins. 22. Harley, Avis. 2008. The Monarch’s Progress: Poems with Wings. Honesdale, PA: Boyds Mills/Wordsong. 23. Harrison, David. L. 2008. Pirates. Ill. by Dan Burr. Honesdale, PA: Boyds Mills/Wordsong. 24. Herrick, Steven. 2008. Naked Bunyip Dancing. Honesdale, PA: Boyds Mills/Wordsong. 25. High, Linda Oatman. 2008. Planet Pregnancy. Asheville, NC: Front Street. 26. Holbrook, Sara and Wolf, Allan. 2008. More Than Friends; Poems from Him and Her. Honesdale, PA: Wordsong/Boyds Mills Press. 27. Hopkins, Lee Bennett. 2008. America at War. New York: McElderry. 28. Hopkins, Lee Bennett. 2008. Hamsters, Shells, and Spelling Bees. New York: HarperCollins. 30. Katz, Alan. 2008. Oops. New York: Margaret K. McElderry. 31. Larios, Julie. 2008. Imaginary Menagerie: A Book of Curious Creatures. New York: Houghton Mifflin Harcourt. 32. Lawson, Jonarno. 2008. Black Stars in a White Night Sky. Honesdale, PA: Boyds Mills/Wordsong. 33. Lewis, J. Patrick, and Janeczko, Paul B. 2008. Birds on a Wire. Honesdale, PA: Wordsong/Boyds Mills Press. 34. Lewis, J. Patrick. 2008. The World’s Greatest: Poems. San Francisco: Chronicle. 35. LeZotte, Ann Clare. 2008. T4. Boston: Houghton Mifflin. 36. Maddox, Marjories, 2008. A Crossing of Zebras: Animal Packs in Poetry. Honesdale, PA: Boyds Mills/Wordsong. 37. Michael, Pamela, Ed. 2008. River of Words. Minneapolis, MN: Milkweed. 38. Mora, Pat. 2008. Join Hands! The Ways We Celebrate Life. Photographs by George Ancona. Watertown, MA: Charlesbridge. 39. Nelson, Marilyn. 2008. The Freedom Business. Asheville, NC: Front Street. 40. Nye, Naomi Shihab. 2008. Honeybee. New York: Greenwillow. 41. Prelutsky, Jack. 2008. Be Glad Your Nose is on Your Face and Other Poems. New York: Greenwillow. 42. Prelutsky, Jack. 2008. My Dog May Be a Genius. New York: Greenwillow. 43. Prelutsky, Jack. 2008. Pizza, Pigs, and Poetry; How to Write a Poem. New York: Greenwillow. 44. Reibstein, Mark. 2008. Wabi Sabi. Ill. by Ed Young. New York: Little, Brown. 45. Rovetch, Gerda. 2008. There Was a Man Who Loved a Rat; And Other Vile Little Poems. New York: Philomel. 46. Salas, Laura Purdie. 2008. Lettuce Introduce You: Poems About Foot (A+ Books). Minneapolis, MN: Capstone. 47. Sanderson, Ruth. 2008. Mother Goose and Friends. New York: Little, Brown. 48. Sierra, Judy. 2008. Beastly Rhymes to Read After Dark. Ill. by Brian Biggs. New York: Knopf. 49. Singer, Marilyn. 2008. First Food Fight This Fall. New York: Sterling. 50. Singer, Marilyn. 2008. Shoe Bop! New York: Dutton. 51. Smith, Hope Anita. 2008. Keeping the Night Watch. New York: Henry Holt. 52. Soto, Gary. 2008. Partly Cloudy; Poems of Love and Longing. Boston: Houghton Mifflin Harcourt. 53. Wassenhove, Sue Van. 2008. The Seldom-Ever-Shady Glades. Honesdale, PA: Boyds Mills/Wordsong. 54. Weatherford, Carole Boston. 2008. Becoming Billie Holiday. Honesdale, PA: Wordsong/Boyds Mills Press. 55. Wesiburd, Stefi. 2008. Barefoot: Poems for Naked Feet. Honesdale, PA: Boyds Mills/Wordsong. 56. Weston, Robert Paul. 2008. Zorgamazoo. New York: Razorbill/Penguin. 57. Winters, Kay. 2008. Colonial Voices, Hear Them Speak. New York: Dutton. 58. Wong, Janet. 2008. Minn and Jake's Almost Terrible Summer. New York: Farrar, Straus & Giroux. 59. Zimmer, Tracie Vaughn. 2008. 42 Miles. New York: Clarion. 60. Zimmer, Tracie Vaughn. 2008. Steady Hands: Poems About Work. New York: Clarion. 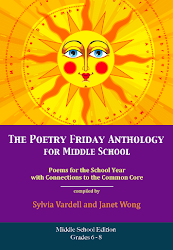 For more this Poetry Friday, go to Two Writing Teachers.